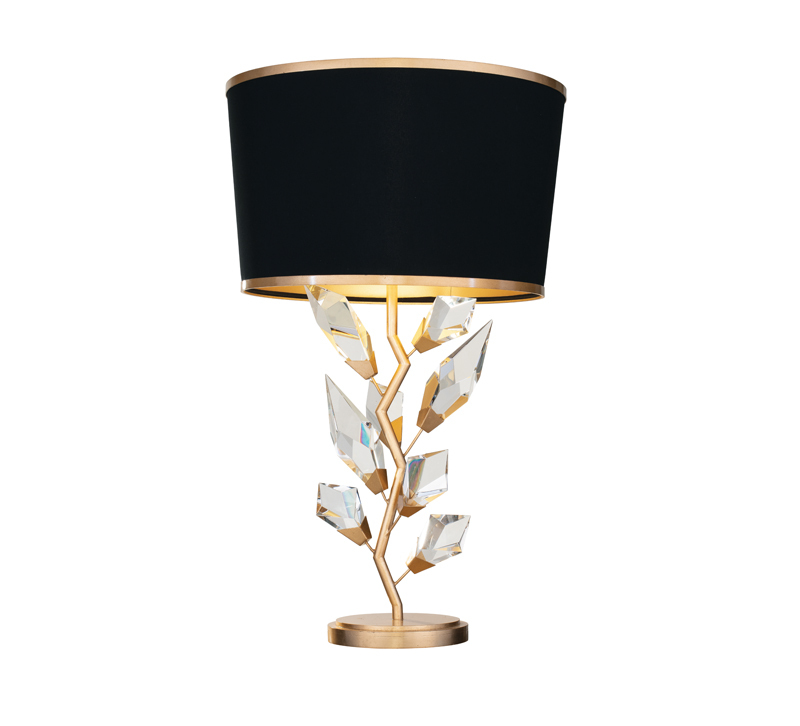 Inspired by nature, this gold leaf Foret table lamp from Fine Art Lamps features modern branches adorned with bold, hand-cut faceted crystal leaves and a black fabric shade with gold interior and gold leaf metal trim. Also available in silver leaf with black fabric shade, silver interior and silver leaf metal trim. Includes LED bulb.